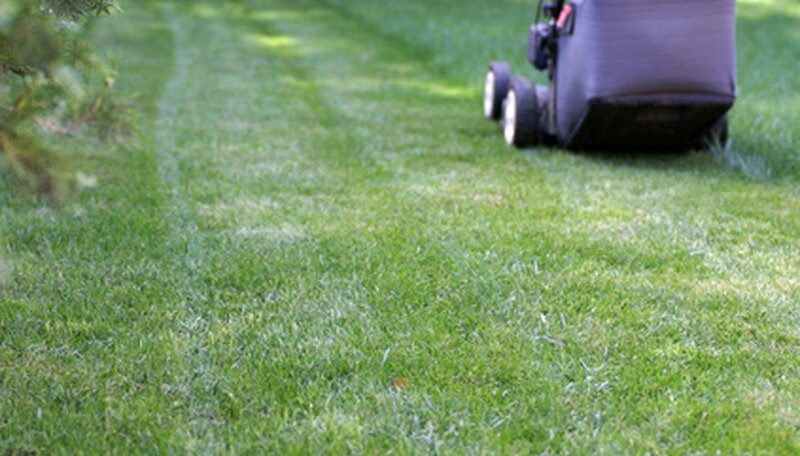 Getting dust on your riding lawn mower is a common problem for the typical homeowner. If dust gets in the internal components of your lawn mower engine, it can lead to engine damage due to interfering with the different parts of the engine. If it's left on the exterior of the lawn mower for long periods of time, it could lead to increased damage to the paint and rusting of the metal. There are many causes to dust being a problem, but with careful practices, it is easy to reduce the dust on your riding lawn mower. Avoid mowing during windy conditions. Mulched grass clippings can blow back and get in the engine or cake on to the exterior of the lawn mower. Disengage the lawn mower blades when driving over gravel driveways and other areas where dirt is exposed to prevent the blades from kicking up dust and even save your blades from damage caused by kicked up debris. Water your lawn lightly if you have sparse grass. Dry ground is easily converted to clouds of dust when you drive the lawn mower over it. Moist ground won't be kicked up into dust. Plant grass seed in areas of your lawn where grass is sparse. More grass and less dirt will reduce the ability of the mower to kick up clouds of dust when you mow your lawn. If you get a coating of dust on your lawn mower, clean it off with soap and water. Leaving dust on your lawn mower can damage the paint and may even cause rust. For dust in the engine, wipe down accessible areas with a clean rag. Replace the air filter seasonally if you have been kicking up a lot of dust when mowing.